Since Dova had been sucked into the Disney Princess cult since she was two years old, we thought that she would love to have another lunch with the highnesses on our last visit to Walt Disney World. 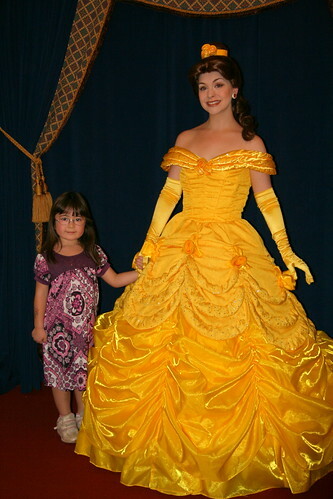 I can't believe that she has had two opportunities to meet the princesses before she even turned five! 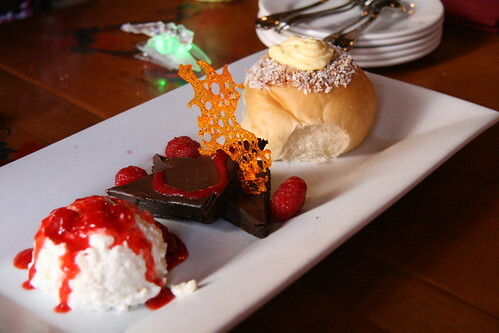 Since our first trip was really a birthday present for my 40th birthday and our second trip was complete serendipity, we were not out to totally spoil her with multiple meals with Disney Princesses as though she could dine with them any day. But apparently, they've just become old hat with her. The day before Dova's Princess Lunch, we unexpectedly ran into Princess Jasmine coming out of a magic door near Aladdin's Flying Carpets in the Magic Kingdom. We jumped right in line for photographs, but Dova refused to have one taken. I only took a quick test shot without Dova, as she adamantly refused to pose with her. We started worrying that she would similarly freak out during her Princess Lunch the next day. But by the next morning, she put on a pretty dress and completely changed her tune. She wasn't quite as excited as she was two years prior, but she was well poised to receive the Princesses. First stop was with Princess Belle. Her dress was too hoopy to get a nice close shot! 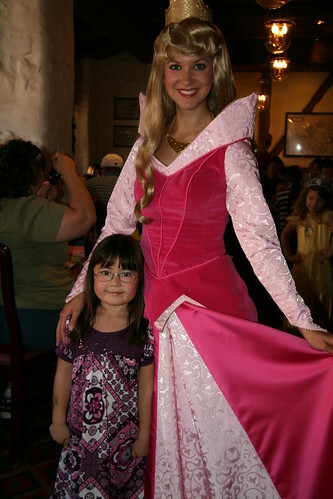 Next was a very tall Princess Aurora. Lackluster smile at best from Dova! 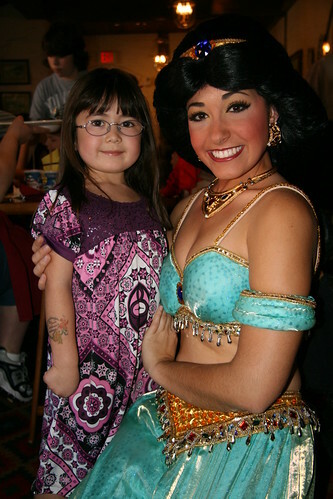 Thankfully Dova didn't freak out with this Princess Jasmine. She wasn't as pretty as the one from two years ago. Snow White looked spot on. 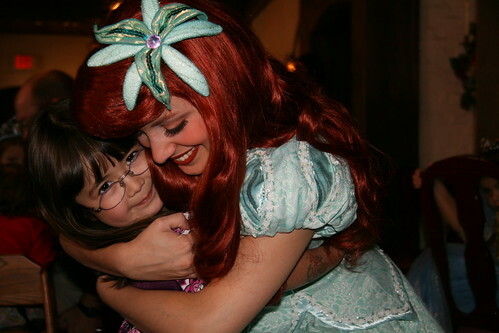 Dova was finally happy when she saw Princess Ariel. 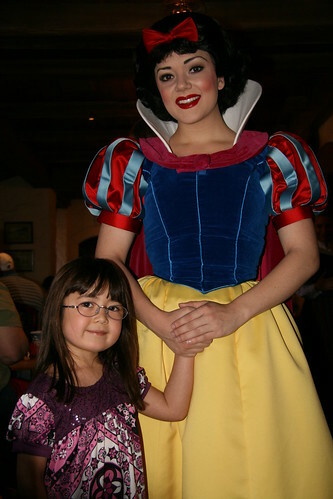 In the end, it was worth this photograph with her very favorite princess.